Staying in five-star Elite Plaza Hotel is an experience in itself. In the heart of Gothenburg, within walking distance of Central Station, Gothenburg Opera, shopping and restaurants - the traditional Swea house located. This is where the Elite Plaza Hotel opened in 2000. Already at the entrance the guests are met by the fantastic environment with painted ceilings and floors in its original from 1889. The hotel is a member of Design Hotels and mixes tasteful classic elegance with modern design. The hotel boasts a restaurant Swea Hof, one of Gothenburg's best restaurants, cozy Plaza Bar and The Bishop's Arms, known for its beer and whiskey. The level of service that Elite Plaza Hotel offers the highest to make each stay a unique experience. Our 122 rooms and 8 suites are very tastefully decorated in classical style. We maintain consistently high standard that meets the demands of both comfort and technical features. Elite Plaza Hotel's beautiful and unique conference rooms representing different eras, choose between a room from the 1800s or a hall from 2000. We equip the premises to your requirements. All meeting rooms are equipped with wireless internet access, whiteboard, flipchart, data projector, pads, pens and mineral water. TV and DVD are available on request and we are happy to rent the other technical equipment. Svea Hall is part of the 200 m2 Svea suite. Originally room salon in the Director's residence and later became the Svea Brand and Lifförsäkringsbolags boardroom. This is our largest conference room which can accommodate 50 people arranged in theater style. Maharadjasalen have a wonderful culture monumental ceiling, the grand hall is part of Maharadjasviten of 120 m2. Vinarkivet (the Wine Archive) was originally the old archives of the insurance company that we have built on. 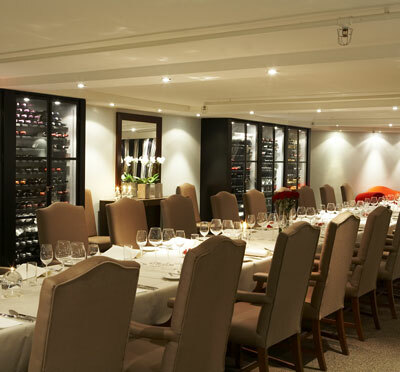 Vinarkivet is perfect for wine tastings, dinner for up to 50 people or why not invite your customers to a rewarding breakfast seminar in a different environment. Have you been to Elite Plaza Hotel Göteborg and want to give your own comments?